The retail giant, Tesco, are to open a new Tesco Express in Wimbledon which will create job vacancies for jobseekers. If you are interested in a Tesco job then and living in that area then why not apply for the positions once they become available! A 19th Century former Public house is set to become the latest convenience store in the small suburb of South Wimbledon. 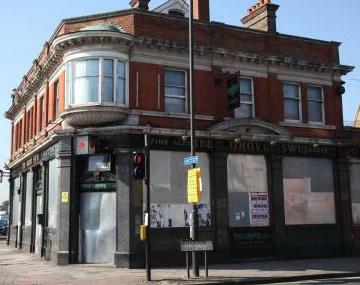 The former Grove Tavern will become a Tesco Express if planning is granted by Merton council. Despite some opposition from pub campaigners and rumours of a Sainsbury’s local also set to make an appearance, the store would create some 20 new jobs for residents, and given its proximity to the tube station, could be very accessible employment for those wishing to work there. Applying to work for Tesco couldn’t be easier, head over to their website and click the careers link; from there you can apply for current vacancies, as well as registering for future ones. Click here to read more Tesco job news and job openings from all around the UK.